Abu Dhabi, UAE, 26 December, 2011: National Geographic Al Arabiya magazine and the internationally renowned educational initiative ‘1001 Inventions’ have formed a strategic alliance to raise awareness of the Middle East’s scientific and cultural heritage, through the development of a number of high quality educational projects targeting the Arab world. 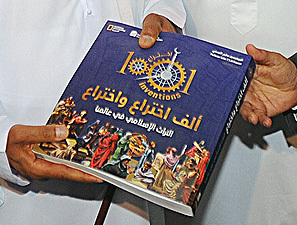 The two parties plan to develop a number of regional education projects, starting with support for the new ‘1001 Inventions’ Middle Eastern exhibition tour in partnership with Abdul Latif Jameel Community Initiatives, and the highly anticipated Arabic language educational book- “1001 Inventions – Discover the Muslim Heritage in Our World”. National Geographic Al Arabiya will partner with ‘1001 Inventions’ for the launch and distribution of this new book, which promotes awareness of the achievements from the ‘Golden Age’ of Muslim civilisation and how those contributions helped build the foundations of our modern world. Mohammed Al Hammadi (Chief Editor of National Geographic Al Arabiya Magazine). National Geographic Al Arabiya will also support ‘1001 Inventions’ as they roll out their new award winning educational exhibition across the Middle East. The exhibition highlights the numerous scientific and technological achievements made by men and women, of different faiths and cultures, who lived in or were connected with broader Muslim civilization during the ‘Golden Age’. The Middle East “1001 Inventions” Exhibition recently completed its first residency on the Abu Dhabi Corniche, organised by the Abu Dhabi Technology Development Committee, and will now move on to tour other Arab countries. Another “1001 Inventions” Exhibition is currently touring Europe and North America where over two million people have visited in the past two years. Professor Salim Al-Hassani, Chief Editor of 1001 Inventions, commented: “1001 Inventions is delighted to be working with National Geographic Al-Arabiya on an range of exciting projects in the Middle East. Demand for the Arabic version of our 1001 Inventions book has been enormous, and our new Arabic-English exhibition in Abu Dhabi has drawn hugecrowds. Our initiative is designed to inspire young people in the Middle East, and elsewhere, to pursue careers in science and technology and build a better future. ‘1001 Inventions’ is an award winning, international science and cultural heritage initiative that produces interactive exhibitions, films, live events and publishes educational books and schooling products. The NationalGeographic Al Arabiya magazine and ‘1001 Inventions’ partnership is also planning additional awareness and educational initiatives, including educational book productions and a documentary series. National Geographic Al Arabiya magazine is distributed across thepan-Arab region, providing readers with superior content about the world and all that is in it. The magazine reaches readers who are curious about theirworld and passionate about discovery. Its rich content covers a range of topics – geography, nature, wildlife, space and the universe, history, culture, adventure and science – as well as the award-winning photography that has inspired and informed audiences globally for decades. The Arabic edition includes content from National Geographic’s international edition, and features regionally-focused features created by the National Geographic Al Arabiya team at Abu Dhabi Media. Abu Dhabi Media is a leading media organization in the Middle East, with businesses in free and pay television, radio, publishing, digital media, games, feature films, music, digital signage, outside broadcast/production and printing. The company manages over 20 market-leading brands such as the TV channels Abu Dhabi Al Oula, Abu Dhabi Riyadiya/AD Sports; Emarat FM and Star FM radio stations; Al Ittihad and The National newspapers; Majid and Zahrat AlKhaleej magazines; the websites, anazahra.com and admcsport.com; and subsidiaries Image Nation, LIVE and United Printing Press. Abu Dhabi Media partners with Universal Music Group and Sony Music Entertainment on VEVO, the world’s leading all-premium music video and entertainment platform, and with National Geographic on National Geographic Abu Dhabi, the Arabic language television channel and National Geographic Al Arabiya magazine. 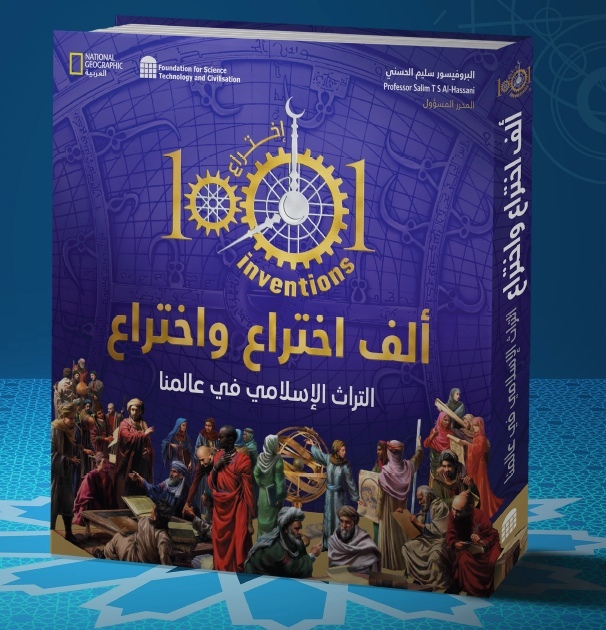 Having reached over 50 million people around the world, 1001 Inventions promotes awareness of achievements from the ‘Golden Age’ of Muslim civilization and how those contributions helped build the foundations of our modern world. This period lasted approximately 1000 years from the 7th century onwards. The 1001 Inventions global exhibitions and educational products all highlight the scientific and technological achievements made by men and women, of different faiths and cultures, who lived in or were connected with broader Muslim civilisation. Through high quality productions 1001 Inventions aims to inspire ambition in young people to strive towards building a better world. The 1001 Inventions exhibitions have received more than two million visitors during blockbuster runs in Abu Dhabi, London, Istanbul, New York and Los Angeles. The best-selling 1001 Inventions book has sold more than 150,000 copies. Furthermore, the ground-breaking education film “1001 Inventions and the Library of Secrets”, staring Sir Ben Kingsley, has been download more than 20 million times and won “Best Education Film” awards in Cannes, London, Los Angeles and at the New York Film Festival. 1001 Inventions is an initiative of the Foundation for Science, Technology and Civilisation(FSTC), a British-based international network of world renowned historians. The global strategic partner for 1001 Inventions is Abdul Latif Jameel Community Initiatives.